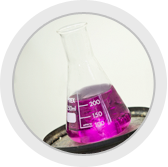 We have a laboratory equipped with the latest technology to ensure the highest quality of our products, analyzing both raw materials and finished products daily. 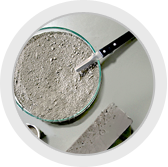 All our cements have the CE mark and the N of Aenor mark, ensuring the highest quality. They are available for sale both in bulk and bagged. 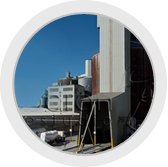 We have silos with a capacity of 1,000,000 tons / year. Our plant has two production lines and a bagging and palletizing capacity of 3,000 to 3,600 bags / hour respectively. Cementos Barrero S.A. is a family business founded in the late 90's. The Barrero family has a long and ancient history in the cement trade for over 30 years. After studying different locations for grinding clinker, the Cebasa project was finally located in the Poligono Industrial La Isla at Dos Hermanas (Sevilla / Andalusia / Spain). It is an independent cement international and major expansion. In Cebasa we have a very qualified in each of their areas and positions for optimal performance to ensure the satisfaction of all our clients. Cebasa is a mark of quality assurance and service of all.